The first Action Team conference call of the 2016-17 school-year was held on Wednesday, October 26. 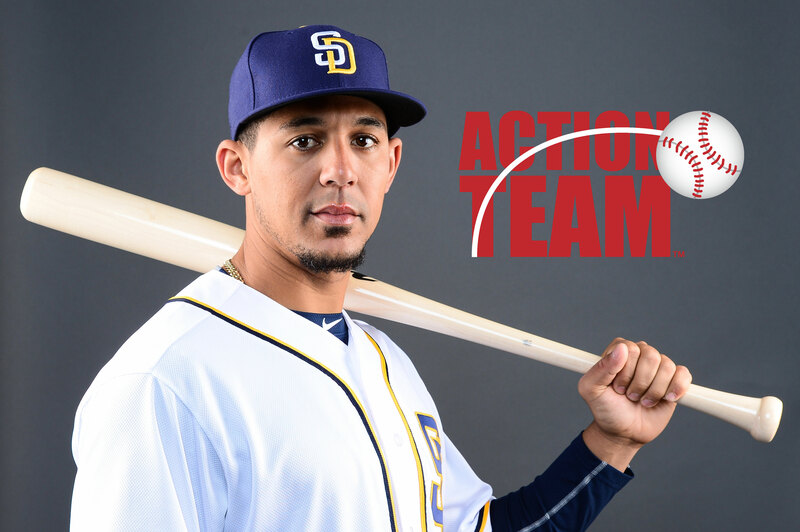 Jon Jay, center fielder for the San Diego Padres, joined Action Team Captains for a conversation about inspiring change in communities across the United States through community service. Sarah and Kyra, Action Team Captains from West Deptford (NJ) High School, were also featured on the call. The West Deptford Action Team recently participated in the first regional service project of the year, which was held in Philadelphia in mid-September. The hour-long conference call gave Action Team Captains the opportunity to seek Jon Jay’s advice on community service, time management and teamwork. Jay, who holds a bowling tournament fundraiser each offseason, shared advice on how to begin planning a service project. The Action Team Captains on the call had the opportunity to ask Jay questions during the question-and-answer portion of the conference call. Hashaam S., from King HS in Tampa, asked Jay if he learned anything while doing community service that he also applied to baseball. “The biggest thing I’ve learned from community service is to be selfless and help others, and I think that translates to the clubhouse,” Jay said. When asked, Jay said one of his favorite community service projects is participating in the Players Trust’s Buses for Baseball program. Sarah and Kyra also chimed in with some of their favorite service projects. Every other week, the West Deptford Action Team volunteers at the Brightview Assisted Living Home. Action Team Captains across the country joined the evening’s call, and were treated to an inspiring message from the San Diego Padres outfielder.